Blogging was the gateway drug to my online entrepreneurial career. 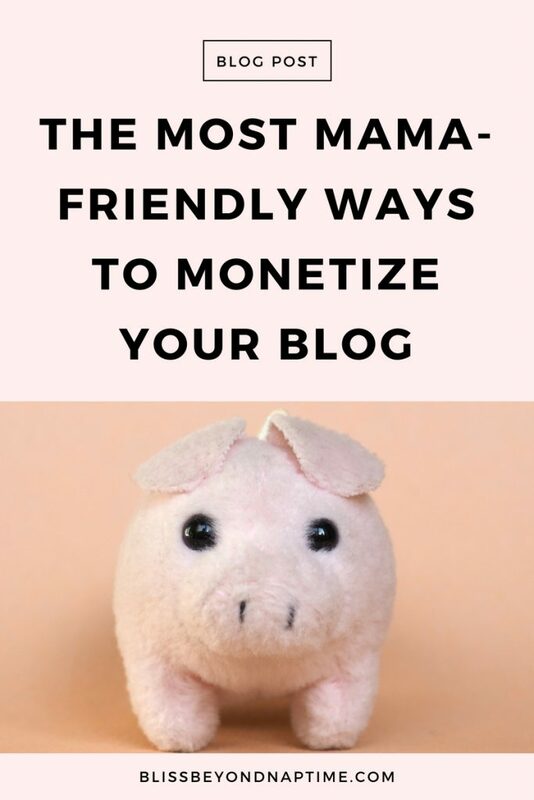 At the beginning, it offered me a way to connect with other hyper-crafty moms , an opportunity to show off both my real and crafty babies and an introduction to one of my favorite creative outlets yet – blogging! It soon became clear that I couldn’t not blog. And that double negatives still mess me up. So I put my thinking and feeling cap on and began experimenting with ways to earn an income built on my blogging pursuits so i can keep blogging and make some sweet moolah while I’m it. I’m happy to report, there are some friendly, and not so mama-friendly ways to go about this dream gig manifestation. Let’s get the unsavory ones out of the way first. The not so friendly ways. It would probably help to mention that I started blogging back in the day. It was a totally different scene than today, sister-girlfrend. This was way back when it was cool to say sister-girlfriend. The go-to route to monetize your blogging efforts back then was to offer ad space on your online property. You would sell 50×50 pixel squares for a monthly fee and often that included a sponsored post feature where one could offer a giveaway to those who leave a comment. I never ventured on this income stream path because, as a customer to such offerings, I saw how it comes hand in hand with an enormous pressure to be offering your advertising customers a huge audience to expose their wares to. So unless you are the Oprah of your particular niches, and you’re The Time Traveler’s Wife style time traveling to the early 2000’s anymore, don’t even consider going this route. That sort of pressure to be blogging everyday, and being delightful while you’re at it? Not mama-friendly. A second cousin to creating your own advertising platform is hosting google ads on your blog. While the pressure to promise traffic to your site is somewhat alleviated, you still are offering a way to click away from the meat and potatoes of your blogging smorgasbord. We want to keep your peeps on your site and your own offerings sister-girlfriend, wife, whatever. There are some exceptions to the at rule of course – like you’re incredibly niche-y and companies that are uber specific to the area of blogging you’re going to be focusing on (ie teaching elderly people how to drive or how to bathe your long hair cat) will be clamoring to throw cash at you for all the sales led their way from you. But the overall business model? It’s about as mama-friendly as homemade slime recipes cooking up in the kitchen. 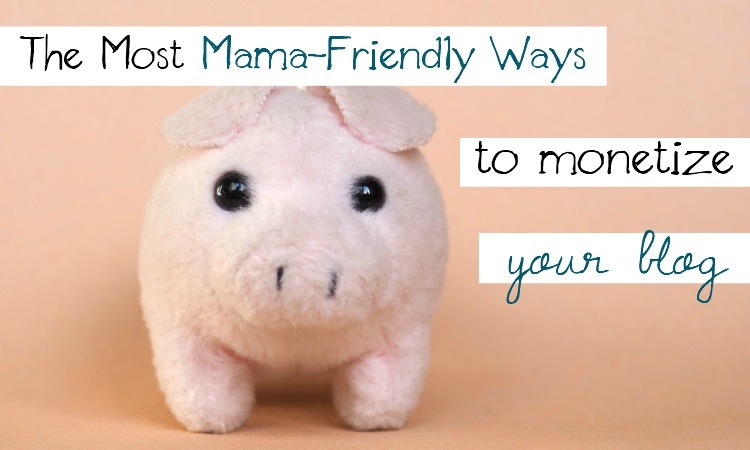 And now, the mama friendly ways. If you’re reading this thinking, oh my gawd Kathy, you’re such a hypocrite! Hang on sister girlfriend, there is a nuanced here between affiliate and advertising blogging-based business model. Looking back at my income reports from the last five years, affiliate sales make up a pretty hefty percentage of my bacon bringing home-ing. What makes this different from straight up advertising spot sales and google ads is that this is only one or two programs, products or services that you use or experienced yourself and are deeply connected with the value offered and genuinely want to share the bliss with your audience. How this worked for me is by being an ambassador for a few training programs over the years. Life changing ones that I know will benefit my typical reader. Many of them aren’t offered anymore, or are only offered seasonally, but the commission was pretty substantial. I would send out an email or a blog post once in a while about it, or if it was evergreen, I had a button in my side-bar, and the commission checks would roll in once in a while via Paypal. A Paypal notification while you’re taking a much deserved nap, not having to create a whole program yourself from scratch and helping out your community of mamas with a truly valuable resource – that’s pretty mama-friendly. My own journey toward monetizing my blog included opening an Etsy shop where readers can get a little piece of Kathy mailed out to them with one of my handsewn or hand spun goods. Etsy shop running is not the mama- friendliest monetizing plan, but it was a cool way to connect with my audience in a more tangible way while also making a pretty penny once in a while. The dance of creating and shipping wasn’t the most sustainable either so I decided to offer an ecourse on sewing. Getting warmer on the friendly front here. While this was much more scaleable, the most rewarding part of offering this ecourse for me was the opportunity to connect with my audience in an even more intimate way. This planted the seed in my mama heart to start offering coaching services. If you’re blogging about something you truly are passionate about (and if you’re passionate about many things choose one topic or make a playful melange of two or three of these areas or dig up the common thread in all of them) you’re probably some sort of expert in this realm. Start offering a one on one service such as copywriting, graphic design, social media management (pick your favorite platform and specialize in that). Or go deeper and offer your expertise in an area that you know a little more than the general public about. Some examples include gardening , placenta art and consumption, homeschooling autistic kids, puppy training. Or go real deep and help a mama out who has been struggling with similar mothering struggles you are going through yourself or have overcame. Or maybe check out the option of becoming a Mama Bliss Coach? Whatever you might decide is your entryway into online work you’ve taken the first step so congrats. You are checking out what your options are if you want to include your already existing blog as the main component of your business building dreams. The next important step is to take action. Connect with someone who has been in your choose (such as me – I’m always up for a latte chat to discuss such things) or just do it! Sometimes it simply takes learning through trial or fire. All I can say is that from my own experience connecting with my readers with coaching has been the sweetest, most organic way I found that really captures this connective energy of this vast online world. Maybe it’s that face to face interaction that we’re all a little hungry for these days, no? If you need help getting a grasp of what it would be like to create your first offering, then be sure to check out the Your First Offering Five Day Challenge. It’s the five day FREE email course where I’ll walk you through the steps to discover what your superpowers are, how you can help your beloved readers with them, and maybe discover a new livelihood while you’re at it! How mama-friendly is that?